Dr. Anne Nicholas is committed to ensuring the comfort of each patient, so she utilizes the Wand® in Palm Desert, California. 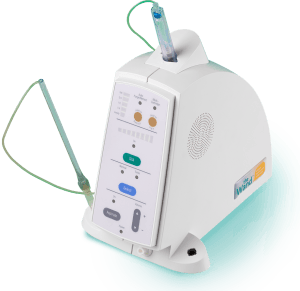 The Wand is a pre-programed device that monitors and controls the flow of anesthetic into the tissues. The Wand begins the injection at a very slow rate and gradually increases the flow. In this manner, pain is managed and the patient experiences little to no discomfort! We welcome you to contact our office today to learn more and to schedule an appointment with our periodontist.